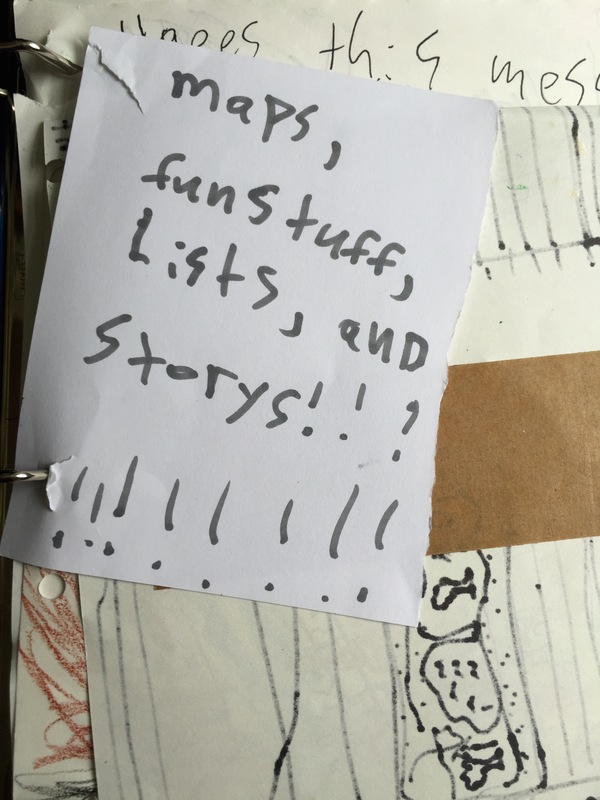 I recently wrote about wanting to encourage a playful spirit in the writer’s notebook, but also about my expectation that my 6th graders write words. Lots of words. It can be hard to feel like I’m being clear about what I think should be happening in students’ notebooks in order for them to become stronger and more confident writers, and to have lots of raw material for making things outside of their notebooks. With help from colleagues and a couple of parents, we created this rubric for our 6th graders: CopyofGr6WNBRubricV3 It’s still being revised a little at a time, but this is our current version. The rubric itself is not that helpful unless we all agree on what certain terms mean, such as “thoughtful and/or reflective.” In order to make sure that our other 6th grade Humanities teacher and I were approaching this the same way, we looked at students’ notebooks together. When we were ready, we then made a slideshow for kids to walk them through what it looks like to meet or exceed expectations in some key areas of the rubric. When students got their first rubrics of the year, they were all able to understand their feedback, and work with me to set personal goals for themselves as writers. I’m back from a year off of posting. Long story. Why are some kids tortured by writers’ notebooks? I got an email from a parent the other day, at her wits’ end because she said that getting her son to write entries in his notebook was like pulling teeth. It was miserable for them both. Now that’s not the feeling I want to encourage in young writers! Later that day, I sat down with my own third grader to write an entry in his notebook, which had been assigned for the next day. It was the first entry of the year he’d be writing at home rather than in school. He’d been putting it off.